Welcome to the Nikwax blog » #GetOutside – what’s your challenge? We all like the idea of getting outside, but what’s the challenge that will get you out there whatever the weather? Nikwax took part in the Caerphilly Challenge in Wales last month and asked the other participants that very question! 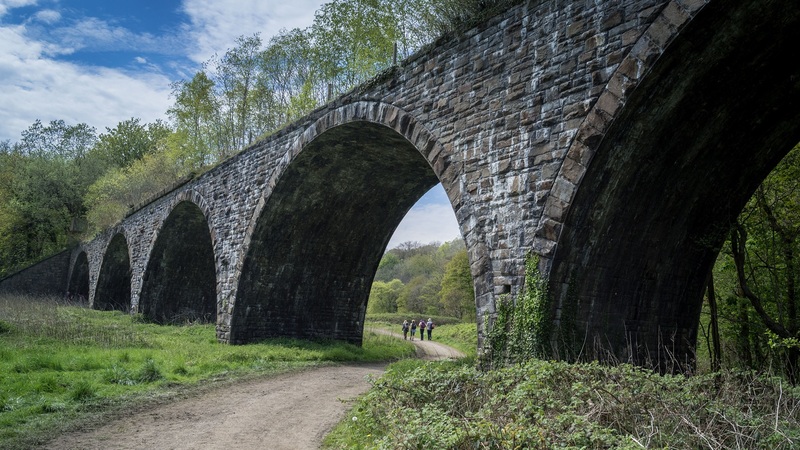 The Caerphilly Challenge offers a range of hikes – from a tough 22 miles, to 17 miles, 11 miles or a more leisurely 1-5 miles – there’s something to put everyone through their paces and test their choice of gear for the day. The event therefore attracts a variety of people, both young and old. 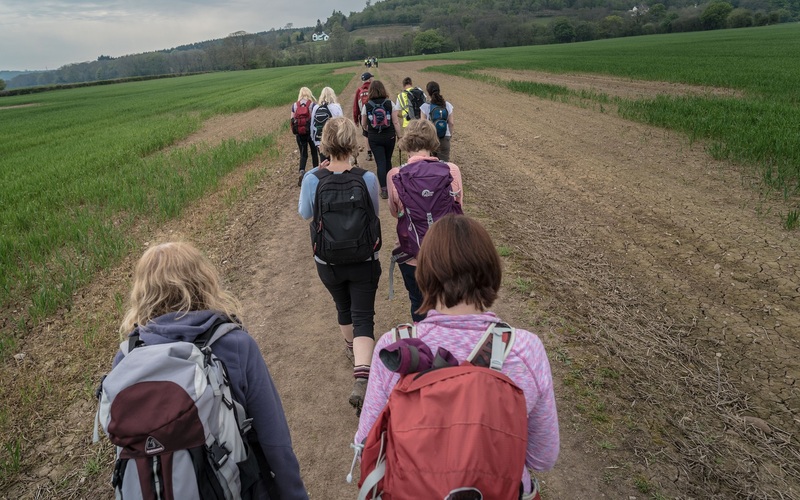 This year’s partakers ranged from a group of young boy Scouts to a man training to walk Camino de Santiago, Spain in June, when he’ll aim to complete 500kms on foot in just a few days! The 22-mile challenge was certainly that for one of the participants, who’d took up the hike after a 40 year break from walking. This goes to show it’s never too late to rekindle an old passion and #GetOutside. A group of three chirpy ladies were using the challenge as training for climbing to the top of Ben Nevis. They have made a promise (to themselves) this summer of Scottish sightseeing, followed by shopping as reward! We joined a group who were using the challenge to explore local haunts. From the starting point in Bedwas, the 11-mile challenge took us through the 1900 village of Trethomas, with streets named after the local colliery owner’s children. 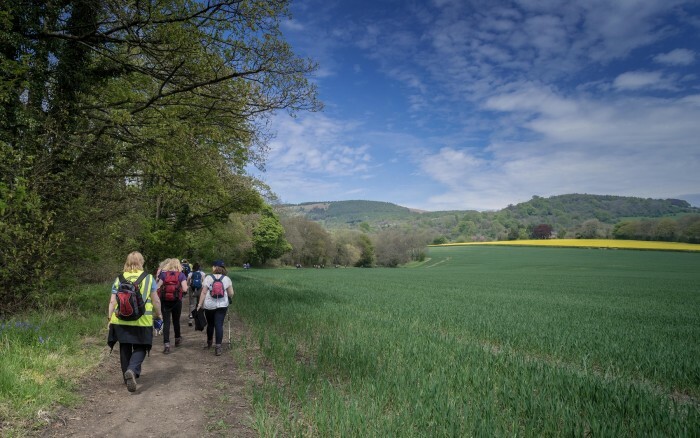 Walking along disused railway lines to Lower Machen, the group had a very 21st century pit stop of tea and cake at the 12th century St Michael and All Angels’ church. As the weather started to clear and coats were shed, two of the walkers fondly reminisced about their wedding there some time before (although a little unsure of the year). The walk took us over the River Rhymney via the Iron Bridge, a 16-metre span cast iron bridge built in 1829 and restored in 2011. Across the fields we passed a new build house, which sparked debate about the building’s merits and its possible place in Grand Designs. Then onwards up a hill, stepping through bluebell broadleaved woods, to Coed Craig Ruperra, an iron age hill fort situated on the top of the ridge. Savouring the panoramic views as well as our lunch, we could see how other Challengers were progressing as they passed by. Over fields and along the Machen Forge Trail we continued, its landscape impacted by iron production in a time now past. Then along a railway track once serving Pentwyn coal pit. 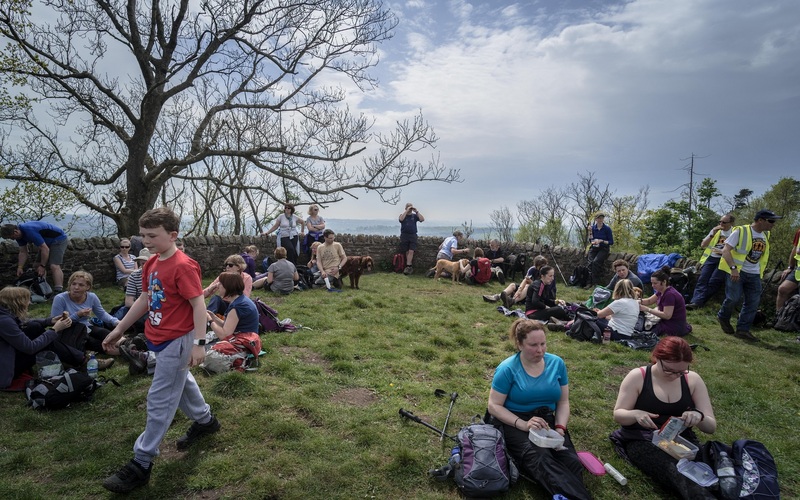 With a number of dogs also taking up the Challenge, one participant confessed she often volunteered to take her friend’s dog out as it was a great excuse to go for long walks. 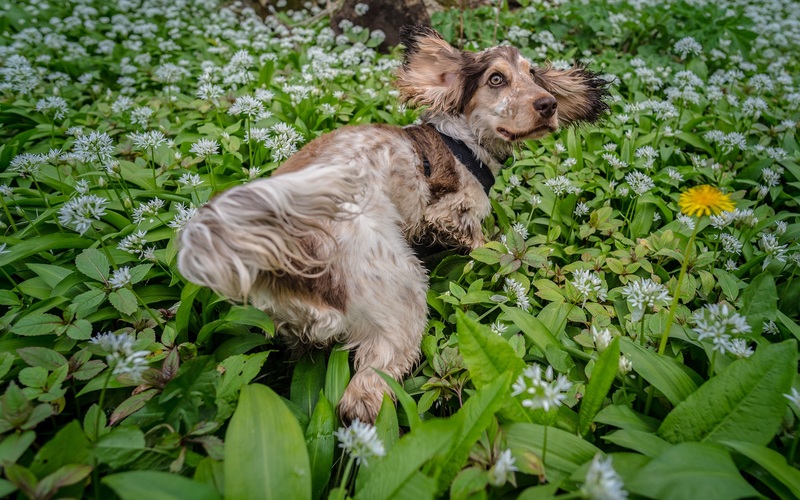 As we walked on through a sea of wild garlic with its wafting scent, some of the dogs were definitely enjoying being outside and delighted in rolling around in the fragrant plant. As we reached the finish back at Bedwas High School and collected our goodie bags plus free sample of Nikwax Footwear Cleaning Gel and Nikwax BaseFresh, everyone seemed happy their challenge was complete. After a mix of weather over the day, starting with rain and turning to heavy humidity and then 24 degrees sunshine, some took the opportunity for a free boot clean and re-proof at the Nikwax footwear care clinic in preparation for their next walking challenge! So what’s the challenge that will get you outside, whatever the weather?